It’s easy to stay within your comfort zone, but with great risk comes great reward. 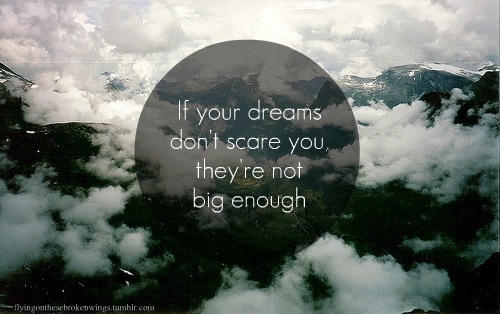 Remember that the next time you’re dreams feel too big. Categories: Uncategorized | Tags: advice, Dreams, Go Big, Inspiration, Life, Lifestyle, Motivation, Motivation Monday, Quote | Permalink. Perfect advice!! We all need to let that soak in.